Ported to PowerPC with removal of all chipset dependencies. Integrated 680x0 emulator for execution of legacy code. GUI appearance completely reconfigurable, and consistent across ReAction and GadTools based apps, you can also now drag windows off screen. The Guru is replaced with the Grim Reaper, a massively enhanced version of the old "Suspend/Reboot" requester. Reimplemented FastFileSystem with long filename support and no partition/drive size limits. Added support for Truetype and Postscript fonts, with optional anti-aliasing (TypeManager replaces Intellifont). Supports different character sets, including full ISO-8859-15 (Euro support). New CDFS (with support for ISO9660, UDF, HFS, CDDA etc), CD/DVD writing support, can boot from CD/DVD, drives are auto-mounted. New MediaToolbox and PartitionWizard replace HDToolBox and third party utilities such as DiskSalv. Pop-up menus with PowerMenus Commodity. AmiGS, AmiPDF, and Ghostscript now system apps. 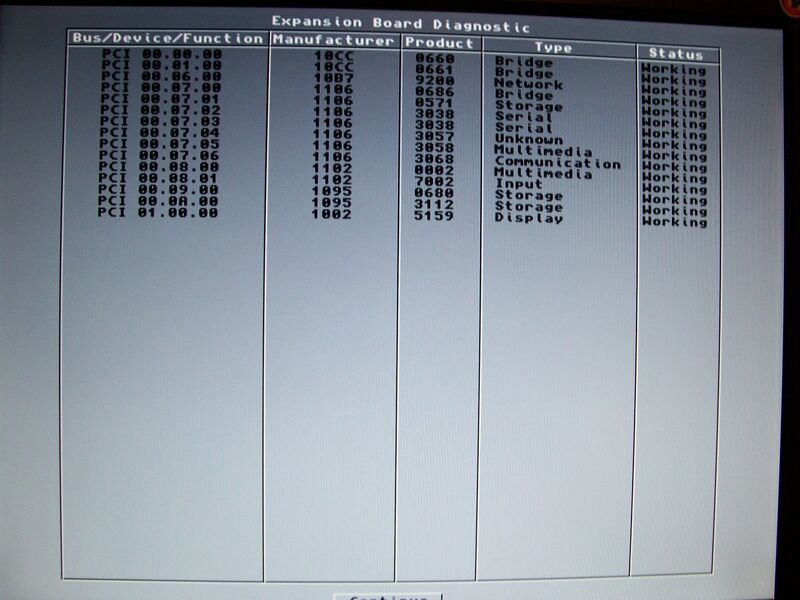 AmigaDOS implemented without BCPL TripOS legacy code. S:ARexx inherits Rexxc in C: and ARexx scripts. AmiDock greatly improved and Dockies and SubDocs implemented. The colors after vga_XX_color can be combined from a palette of 16 colors and they are the same as the standard ANSI palette. Chris Young notes that AmigaOS 4.0 "developer pre-release" edition for AmigaOne was released on June 2, 2004. He adds that, in a similar way to the A1000, and (to a lesser extent) early 2.x releases on the A3000, the ROM does not contain any part of AmigaOS and merely loads Kickstart from disk.